At this point, if asked to name the greatest cornet/trumpet player in the 1920s, you might think that I would answer Louis Armstrong without hesitation. But no: there would be hesitation. Louis Armstrong had serious competition for that title. 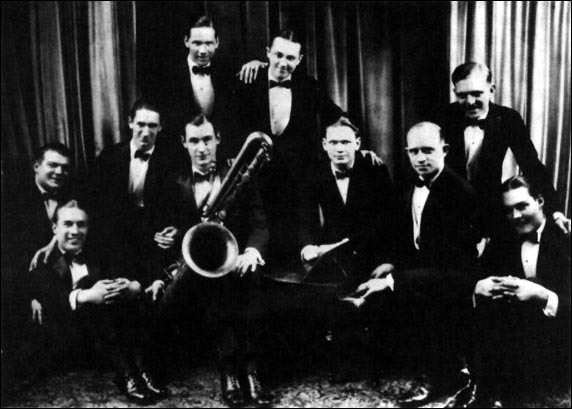 Surprisingly, however, it would not come from the jazz hotbed of New Orleans, but from Davenport, Iowa. “My Pretty Girl,” made with popular bandleader Jean Goldkette, gives us just a taste of what Bix was capable of. Although his solo is short, we get a feel for Bix’s raw talent. His performance is spirited, and yet in places he draws the note out just long enough to give a glimpse of the unmistakable, smooth tone that would make him famous. Even without much from Bix here, though, this is a fantastic and highly recommended record from what was at the time the hottest white jazz band around. There are amazing solos from Danny Polo on clarinet and Frankie Trumbauer on C-melody saxophone, superb flourishes from violinist Joe Venuti, and a propulsive bass line from Steve Brown. “Singin’ the Blues” is one of the most pure and perfect recordings of the decade. 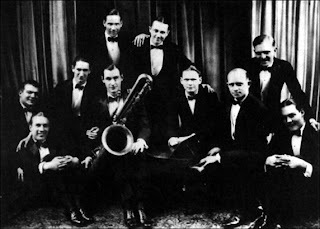 Louis Armstrong was so impressed that he purportedly refused to ever play the song himself, feeling that Bix’s playing had been definitive. Listen to it and it is easy to understand why. This is Bix’s “Potato Head Blues,” his most pure moment. His tone is simultaneously commanding and fragile, and his improvisation is wholly original and fully formed. Trumbauer deserves credit for sounding almost as sweet on the C-melody sax, and Eddie Lang’s understated but brilliantly improvised guitar work provides the glue that ties it all together. Other than a brief clarinet solo by Jimmy Dorsey, Trumbauer wisely uses the rest of the band sparingly, allowing the stars to shine on their own. “Riverboat Shuffle” is a fun tune with a pronounced Dixieland feel, and the entire band is in fine form, but it is of course Beiderbecke that steals the show. 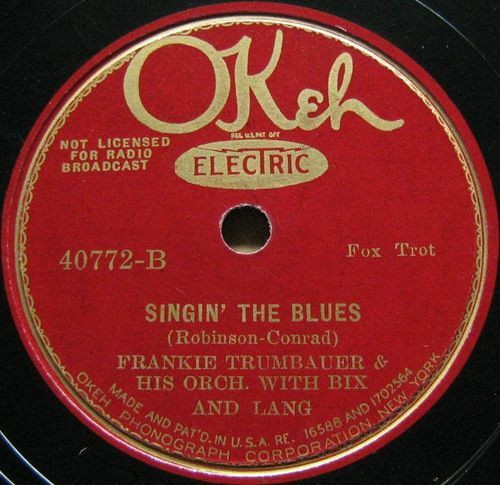 Bix had recorded this tune three years earlier with the Wolverine Orchestra (Gennett 5454, 1924), and that familiarity shows as he delivers a performance that is simultaneously comfortable and commanding. His lively cornet dominates the ensemble parts as he lets loose, but it is his restrained, beautifully improvised solo that serves as the real highlight. In “I’m Coming Virginia,” Eddie Lang picks out a lovely, easy-going part on the guitar, as the reeds play soft, sweet melodies. 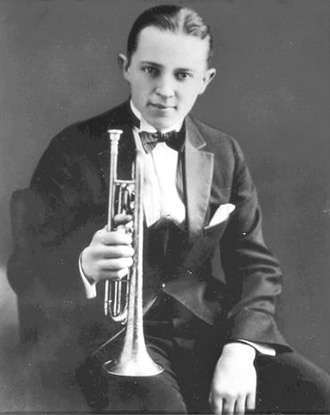 The listener is drawn into a trance and then, just about half-way in, Bix Beiderbecke enters on cornet. His tone is heavenly, and the song stays just as lovely, but the bold, brass instrument electrifies the record from that point on. It is a magnificent solo, probably second only to his playing on “Singin’ the Blues.” The rest of the band continues to play sweetly behind him, but except for Lang’s deft flourishes on guitar at the end, you hardly notice anything but Bix. It never fails to amaze me how much this band was able to consistently innovate while sounding so relaxed and easy-going. In “Way Down Yonder in New Orleans,” they both evoke New Orleans jazz and transcend it. Don Murray solos first on clarinet, and he swings like mad even as he seems to be floating effortlessly. But again it is Bix that steals the show with the song’s only other solo. Here is an improvised melody that sounds like a magnificent, fully-formed composition. When Bix begins playing short, staccato bursts, his lone cornet has such depth of expression that it could be an entire brass section. It is a joyous sound that maintains the song’s easy-going feel while sending the record soaring.